transforming their lives and the lives of others. Our music curriculum, developed in collaboration with The Juilliard School, seeks to inspire our young musicians to develop the skills of musical thinking, active listening, and connection making empowering them with creativity, curiosity, and cultural literacy. Our expert teachers use engaging activities developed by Juilliard which inspire our students to understand the language of music and to develop creative skills such as improvisation and composition. 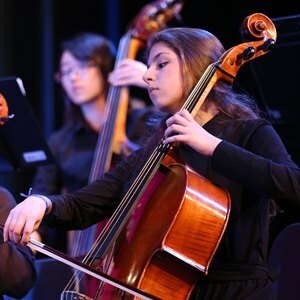 Our students learn through a Juilliard developed embedded music curriculum while they enjoy the ambitious musical opportunities that we offer. These include our early childhood music classes, our unique kindergarten through third grade Violin Program, and advancing performing ensembles and music courses. In addition to the school day curriculum, we offer a variety of before and after school music programs including private music lessons. 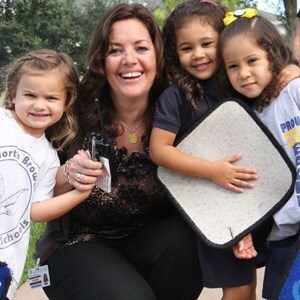 Our Lower School music program takes a revolutionary approach to elementary music instruction. 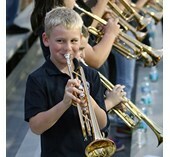 Students are empowered to express themselves confidently and inspired to begin a lifelong enjoyment of music. Our early childhood music program focuses on developing individual musical skills and includes singing, rhythmic activities, moving to music, musical games, and playing percussion instruments. Through play and musical story units, these activities create the foundation for our students to perform, create, respond and connect with music at each grade level. Our K -3rd grade Violin Program offers “minds on” and “hands on” learning by interweaving the psycho-motor, affective and cognitive domains of knowledge. The creativity and musical thinking developed through the study of instrumental music fosters critical thinking, problem solving skills and cultural awarness. Students sing and play a variety of music on their instruments. Our 4th and 5th grade music program also integrates vocal and instrumental training for all students and builds upon their strong musical foundation by continuing to develop their musical literacy and musical thinking. 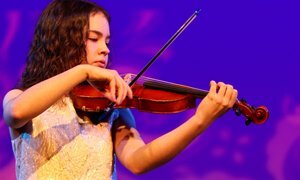 All students elect to be a part of the Band or Orchestra and hone their vocal and instrumental music performance skills and experience the joy of music-making that is unique to playing and singing with an ensemble. In addition to the school day curriculum, we also offer private music lessons on all instruments and voice parts. We also offer a variety of Fine Arts after-school programs. 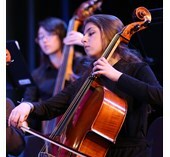 We are proud to offer scholarships that reduce tuition fees for students who excel in the arts.